A year after Google came up with Android and all gadget creators preferred to install android and android application development it on their hardware because it was way better than their own operating system and compatible to all. The handset that Apple launched was the strongest among all the operating system in the market at that time, which still is a big shark in the competition. Palm OS was designed in 1996 for personal digital assistant by Palm Inc. and was used for the devices with a graphical display in a touch screen and extended to smartphone versions. It is acquired by Garnet OS and now known as webOS. 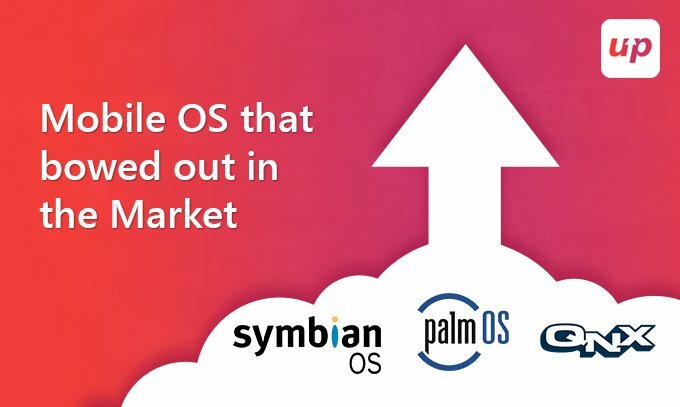 Qualcomm is the proud owner of webOS and has all rights to the patent by palm. Although the devices with PalmOS were multitasking only one task could be performed at a time, switching to another task in between was not supported. Once the first task was completed then the only second task was initiated. The current applications of open webOS can be seen on smart TV, LG refrigerator display, and touchpad tablets. We all remember the Nokia series of smartphone which included Nokia Asha, Nokia N95, Nokia E90, there were times all the electronic market was full of Nokia Smart Phones.Before 2014 Symbian OS was used by all big electronics manufacturers like Samsung, Motorola, Sony Ericsson and Nokia. Now Symbian is nowhere to be found, it could not stand the features Android brought and the once top mobile operating system eventually was eliminated from the market. Nokia gave one shot to mobile application development to come up with a unique operating system to stand in the market. So they introduced Microsoft OS Smartphone. Nokia Lumia came with Microsoft OS but was later acquired by Microsoft. Windows phone was a smart move by Nokia but didn’t stay long due to compatibility issues with all applications that were developed mostly using the Android platform. Finally, Nokia launched the range of phones with Android OS and the allies with android helped Nokia manufacture the Nokia Android phone series. Therefore, the windows phone didn’t sustain for long in some of the largest markets like India. People were all about BBM before WhatsApp came into the picture; BBM was a blackberry messenger which was an Internet-based messenger and allowed all blackberry users to chit chat over the internet. Blackberry had its own operating system. Blackberry discontinued after the release of BB 10. The Canadian-based company Blackberry came up with the QWERTY devices couldn’t survive with its mobile operating system. It still manufactures mobile phones but the operating system installed is Android. The mobile operating system saw the rise and fall of many operating systems but it turns out the market demanded much more and failing to do so the market is left with just two competitors Android by Google and IOS Apple. The only focus today is to come up with an android or ios application development. Apps rule the consumer end of the market because it lets a common man control the day to day activities easily.